Tenants at a Mississauga apartment complex say their landlord is trying to force out a group of longtime residents under the guise of emergency repairs. But the property management company says it needs to remove "materials that contain asbestos." Tenants at a Mississauga apartment complex say their landlord is trying to force out a group of longtime residents under the guise of emergency repairs. 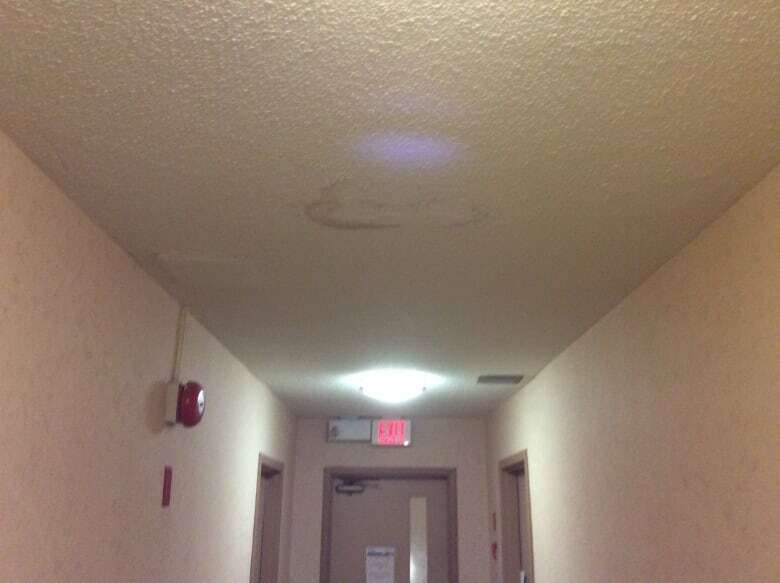 On Aug. 3, tenants at 2869 Battleford Road were given one month to vacate their units so the property owner could repair water damage caused by a spring storm. An initial statement emailed Friday to CBC Toronto by property management company Morguard stated that the move was necessary for "emergency repair work," but in a later email the firm said asbestos is the issue, although air quality is safe. Tenants facing a temporary eviction say they were blindsided by the notice. There are concerns that Morguard did not give residents adequate time to vacate the units, especially given that the damage occurred months ago. "I'm a wreck, I'll be honest with you," said Matthew Trudell, who's lived at the low-rise complex since 2007. Trudell and his mother live in one of the 18 units that will be affected by the repairs, which Morguard says will take approximately 12 weeks. He fears that Morguard is using the work as a type of "renoviction," in which property owners conduct repairs to increase the rental price of the units and drive out tenants paying below market rates. Some landlords "renovict" in order to circumvent Ontario rent control regulations. Currently in Ontario, rent increases are generally limited to 2.5 per cent year-over-year, but there's no ceiling on the rent they can charge new tenants. "My guess is that they're forcing us out so that they can rebuild the apartments, so that new people come in and they can charge more rent," Trudell explained, adding that many of the units appear to have only minor damage. 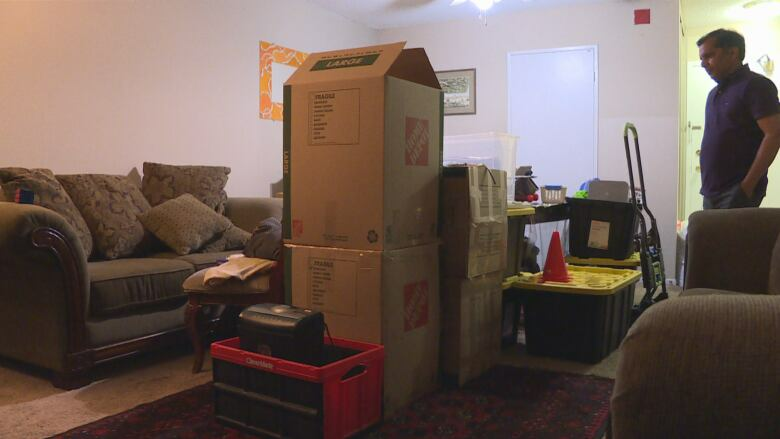 He believes the 12-week repair time will cause many of the affected tenants to simply pack up and move elsewhere. "They're going to make it horrible for us during this time," Trudell said. Did landlord provide adequate notice? Trudell and his neighbours also say Morguard has not given tenants enough time to find temporary housing while the repairs are made. According to lawyer Ken Hale, the legal director of the Advocacy Centre for Tenants Ontario (ACTO), landlords are required to provide tenants with 120 days notice to vacate their units for repairs. That warning is supposed to be provided through an N13 notice, he said, which states a landlord's intentions to demolish, repair or convert a rental unit. Tenants at 2869 Battleford Road were instead given a notice from Morguard on the company's letterhead. "I really don't understand why the landlord would be approaching it in this way," Hale said. "It sounds like there's an attempt here to bulldoze people out of their homes." Nine-year tenant Munzir Ahmad says the short notice has left him scrambling to find temporary housing. He's cancelled a vacation with his family and is now worried that a deposit for his son's school bus will be lost. "I'm very much stressed, it's affecting my job and my family life as well," Munzir said. "It's not acceptable that you give short notice and ask [tenants] to go and find something for yourself," he said, adding that his tenant insurance will only cover two weeks of temporary housing. Ahmad shares Trudell's concerns about a possible renoviction attempt. He also doubts that the repairs are a legitimate emergency, since his ceiling has had water damage for the past three years. In a statement to CBC Toronto, Morguard said it is working with tenants and their insurance providers to secure temporary housing during the repairs. But the company is not providing access to temporary units or compensation. "We are doing everything we can to support our residents," wrote Morguard spokesperson Susanne Desrochers in a statement. "We understand that this is an inconvenience and thank our residents for their patience and cooperation while the necessary repairs are completed," she added. The company did not say exactly when it identified the need for repairs. The statement to CBC Toronto outlined that the storm "impacted materials that contain asbestos" and although tests confirm that the air quality is safe, "specialized repair work and asbestos abatement procedures need to be conducted." 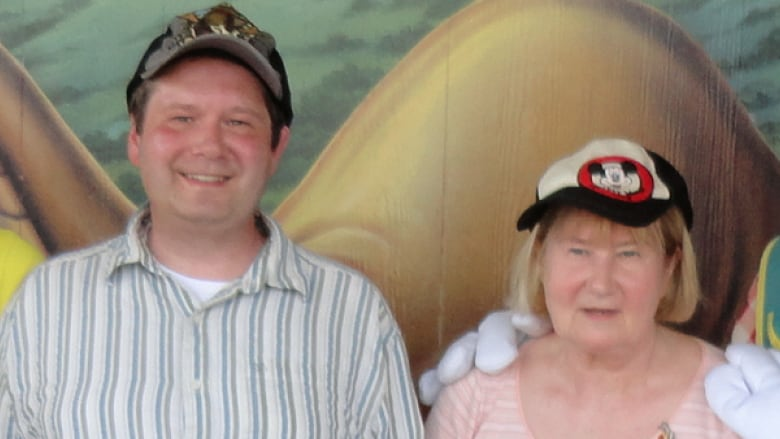 Desroches didn't explain why tenants were given one month to move out, but she added that a N13 note isn't necessary as Morguard does not intend to end the tenancy. Rather the company's intention "is to have all [its] residents return to their homes as soon as possible." Hale says in a case of a legitimate emergency repair, the city and emergency services would likely be involved. The landlord may also have to compensate displaced tenants during an emergency repair vacancy, he adds. Hale says the lack of proper notice and compensation suggests that Morguard may be attempting to renovict its tenants. In general, he said that practice is happening "more and more" around the GTA. "That's why we have this formal process of notices and review by the Landlord and Tenants Board if necessary, to stop people from cheating the system," he said.